Increase capacity of shipped bitumen (dilbit) by over fifty percent (50%) from current design flow rate of 400 kbpd to 600 kpbd. High pressure pumping via two new 700 hp API BB2 horizontal pumps; custody transfer metering and quality assurance of shipped dilbit product including facilities for portable meter proving. Custody transfer metering and quality assurance of received product (condensate) with meter proving capabilities. Rally developed scope of work through all project life cycle phases (conceptual/study phase, Front End Engineering and Design (FEED), execution of detailed engineering, and procurement and construction support of the expanded facility). 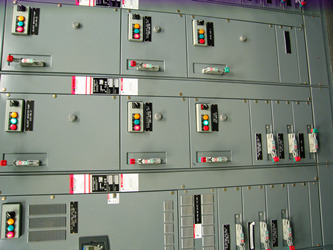 The work was organized and executed in parts to control cost and schedule. Part I. Increasing capacity of shipped dilbit by replacing existing booster pumps with three (3) new 1750 hp API VS7 deep can vertical pumps specified and procured by Rally. The engineering and procurement execution of this part of the project encompassed the full range of disciplines and deliverables to support construction and installation of the vertical can pumps. The work included pump foundations, 4.16 kV switchgear, underground and above ground piping, cabling / wiring, electric heat trace (EHT) and instrumentation. Part II. Modification of the existing terminal facility to provide high pressure pumping (two new 700 hp API BB2 horizontal pumps), custody transfer metering and quality assurance of shipped dilbit product including facilities for portable meter proving. 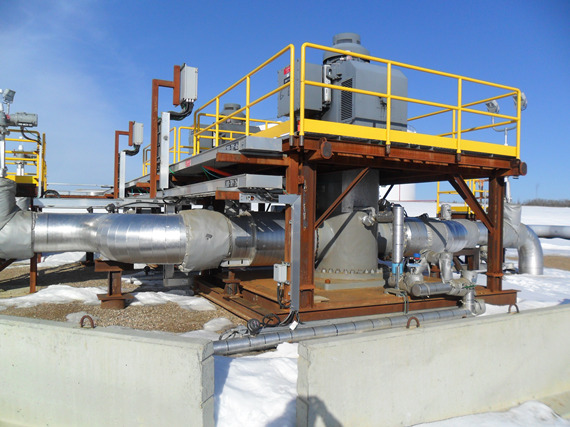 Modular designs were prepared for metering and quality assurance packages, geared towards minimizing site work, and achieving a substantial cost and schedule savings for the project. Part III. Modification of the existing terminal to provide custody transfer metering, quality assurance of received product (condensate) and meter proving capabilities. 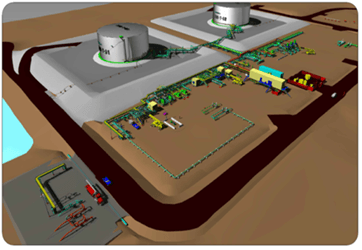 An underground pipe and electrical road crossing was required to connect the proposed condensate trap area to the process area within the existing terminal. The underground electrical road crossing was designed based on use of a carrier pipe / spacer system which Rally first successfully implemented on a major 200 ft long railroad crossing for another client, resulting in substantial cost and schedule savings to that client.